The actor has been posting countdowns to the release date of the motion poster of ‘2.0’ which has been confirmed for release on 13 September. Akshay Kumar, the actor who turned 51 years old today, gave his fans a glimpse of a new poster from his much-anticipated film ‘2.0’. 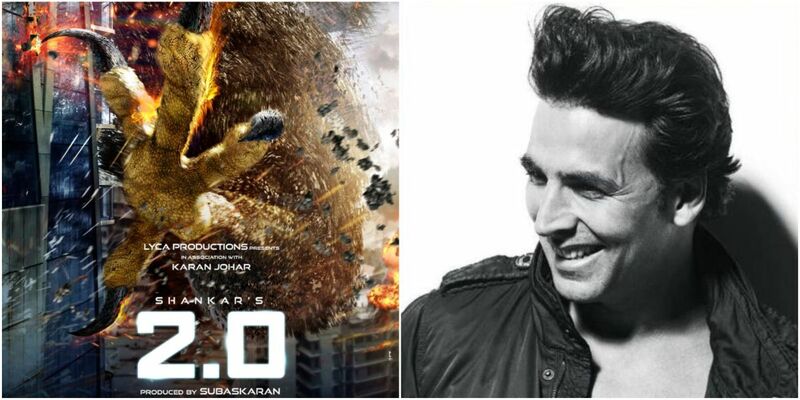 Akshay plays the role of the antagonist, Dr Richard, in the film. The new poster shared by shows the full-body look of his villainous character. “I am the dark superhero for those who don’t have a voice! HUMANS BEWARE!” he added. A sequel to the 2010 Tamil film ‘Enthiran’, which was also released in Hindi as ‘Robot’, ‘2.0’ will see Rajnikanth reprising the double roles of Dr Vaseegaran and Chitti. The film marks Akshay Kumar’s debut in the Tamil film industry. The new installment will also feature Amy Jackson and Adil Hussain in pivotal roles.